Actors, musicians & dancers?? QMed is gearing up for the 48th annual Medical Variety Night! It’s that time of year again! 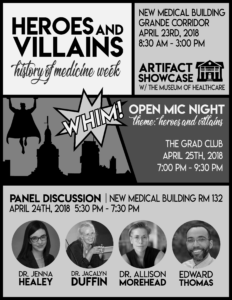 Medical Variety Night (MVN) is the School of Medicine’s annual charity variety show featuring UGME student performers from across all four years of training. 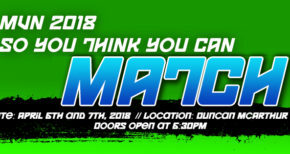 This year’s theme, So You Think You Can Match, was selected by popular vote amongst the students and is a spin on the popular television show, So You Think You Can Dance. 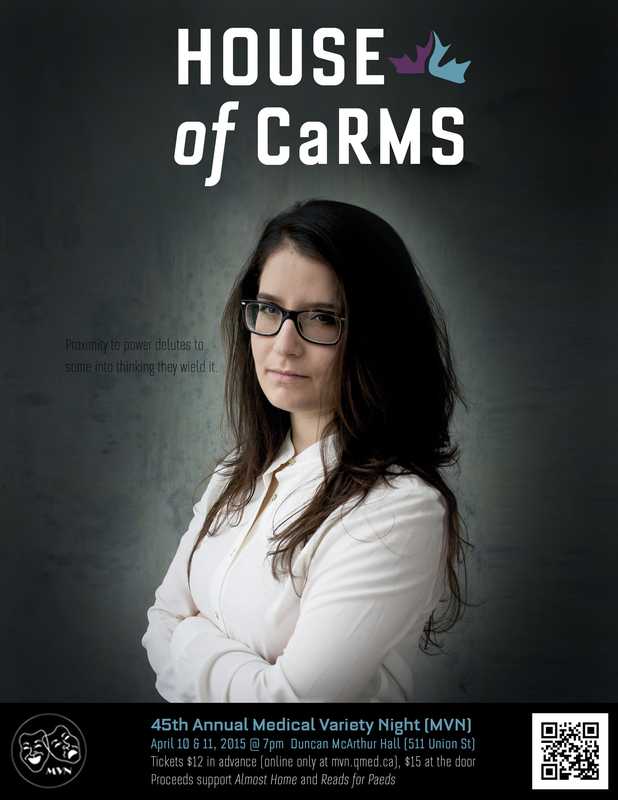 The theme may be particularly apropos yet contentious right now, given the increasing difficulties surrounding the CaRMS match. However, while the show is sure to feature references to this, it certainly is not the focus. 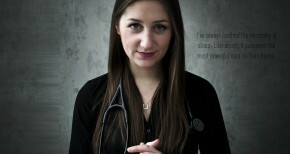 The spotlight will remain on the performers, and the show aims to celebrate all that is Queen’s Medicine. Wandering the halls of the School of Medicine during after-class hours, one may be treated to a glimpse of the beautiful madness that is MVN preparation. From large group dance rehearsals for hip-hop, contemporary (new this year! ), or Bollywood, to table-reads and short filming sequences for class skits, the students have been working tirelessly to perfect their acts for the show. The acts seem to get bigger and more elaborate each year, and this year’s line-up surely will not disappoint! everyone. In addition, although there will be some “medical culture”-styled humour, the show is designed to be accessible by and entertaining for all. In the past, the show has been very well attended by people outside of the “Medicine Bubble™” to rave reviews. Outside of the performers, there are many others who have been hard at work on the show, such as the promotions, tech, and backstage crews already doing vital behind-the-scenes work in preparation. In addition, Edrea Khong and Daisy Liu (2020s) have been joined this year by Charlotte Coleman and Emily Wilkerson (2021s) as the MVN 2018 Directors. 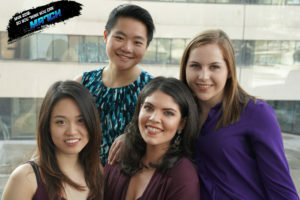 The four have spent countless hours since mid-September organizing and preparing for the show. With the two-week countdown now underway, they are hard at work ensuring the show runs as smoothly as possible. During the show week, many more students will also lend a hand as bakers, ushers, ticket takers, raffle sellers, and much more. MVN is a project of love, dedication, and talent from all of QMed. All proceeds from this year’s show are going to Kingston Interval House, an organization committed to supporting women, children, and youth experiencing violence and working collaboratively with the community to eliminate all forms of violence and oppression. While great strides have been made worldwide towards establishing greater equality especially in these past few months, there is still much to be done and services like these are so vital. The decision to support Kingston Interval House feels very apt. In addition to ticket sales, MVN depends on the generosity of the Kingston community and Queen’s faculty. Raffle prizes featuring local Kingston businesses and a bake sale featuring QMed culinary talent can be found at the shows. Donations are also being accepted on the MVN website, with donations of $50 or greater receiving a tax receipt. 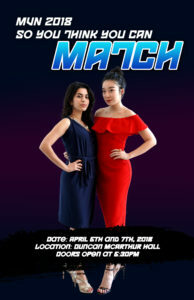 MVN 2018 takes place on April 6th and 7th at Duncan McArthur Hall (511 Union St.), with doors opening at 6:30PM and the show starting at 7:00PM both evenings. Tickets can be purchased for $13 on the MVN website, or for $15 at the door. 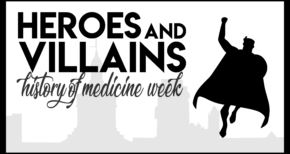 Get excited for a fantastic evening of performances celebrating another year of Queen’s Medicine! Gather your family and friends and purchase your tickets to MVN 2018 today. Looking forward to seeing you at the show! 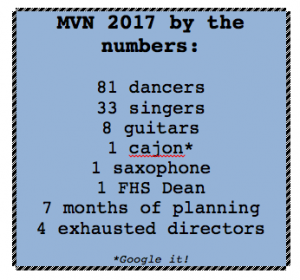 Singers, dancers, musicians & a dean: It’s MVN! It’s Medical Variety Night (MVN) time of year at the School of Medicine and UGME students have been putting in long hours of practice and preparation. And they’re not the only ones – this year the show includes a feature performance by Faculty of Health Sciences Dean Richard Reznick. Co-director Manisha Tilak (2019) says you’ll have to show up to see the Dean’s act – no other information is being shared. “He’s actually in an act, though, it’s not just that he’ll be attending,” she adds. Tilak and co-directors Andrew McNaughton (2019), Edrea Khong (2020) and Daisy Liu (2020) have been hard at work since September to ensure the success of this year’s show. 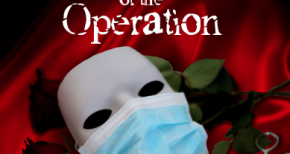 This year’s theme is The Phantom of the Operation. Dancers in the now-traditional Bollywood number have been in rehearsal since November. Auditions for the other acts were held around the same time. There will be music solos, duos and trios as well as the class skits. Other dance numbers will feature Hip hop and Swing. While the show may have a few ‘culture of medicine’ in-jokes, it’s designed to be interesting and entertaining for everyone. This is the 47th incarnation of the Medical Variety Night, which benefits local charities. This year, proceeds are being donated to Almost Home, which provides accommodations for families with children receiving medical treatment at Kingston area hospitals. The show will take place April 7 and 8 at Duncan McArthur Hall, 511 Union Street, Kingston. Doors open at 7 p.m. Tickets are available online (buy them here: https://mvn2017.squarespace.com) and at the door. One of the highlights at Convocation on May 21 was the admission of one of the Meds Class of 2015 to the Queen’s University Tricolour Society. 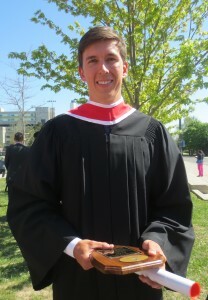 Benjamin Frid was admitted to the Society through the Agnes Benidickson Tricolour Award—the highest honour given to a Queen’s student for non-academic, non-athletic activities. Recipients are chosen by their fellow students. For Frid, it had been a bit of a wait to be inducted into the Tricolour Society: He was actually nominated and accepted for the award in 2012-2013, but it is presented upon graduation. “Ben’s spirited inclusive, and enthusiastic approach to life has influenced the lives of innumerous students and the greater Kingston community for the better,” the citation said. Frid got more involved at the Telfer School of Business at the University of Ottawa where he started the Ottawa Making Waves chapter, was a teaching assistant and began taking leadership courses. This new habit of involvement continued when he came to Queen’s School of Medicine. Frid admits that balancing extra-curricular activities with medical school studies wasn’t always easy. “I had to learn some new skills and become a more organized person,” he said. 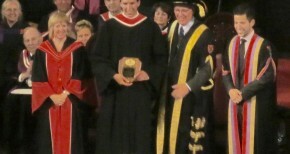 “Fortunately, Queen’s faculty are very supportive of students who want to be involved,” he added. Frid noted that he is “inspired by the people I have had the privilege of working for,” and pointed to one example from the early days of Making Waves in Kingston.